Do you ever just have too much to read on the internet? Each time someone sends you a link, you add it to the list. Sometimes you come across several interesting things in a day. Often, each article or page has two more links worth checking out or perhaps just worth bookmarking for when you need them. Refind is a tool for saving these links, building a searchable archive so you can’t forget things, while also sharing them and discovering new content. Refind simply collects an archive of links, with the idea being to ‘fire and forget’. You save a link with a few clicks, then you can come back at any time to check it out. This is similar to the software Pocket, but more long-term. 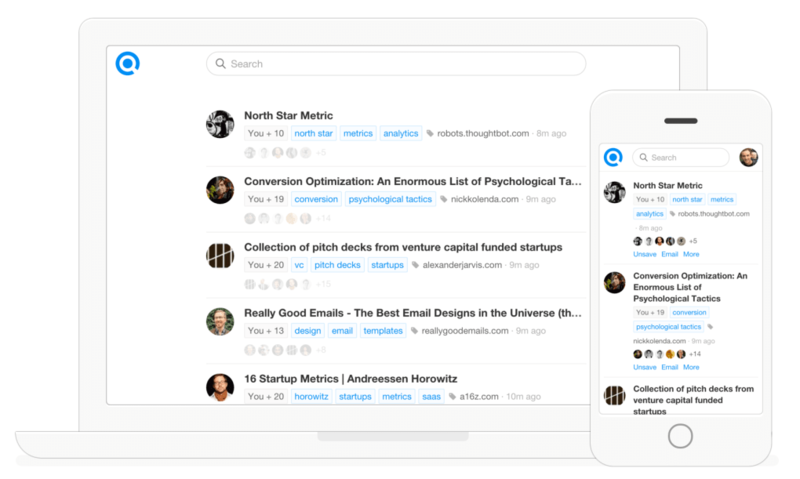 Refind doesn’t just bookmark, it’s also a social tool. You can share the links you save on various platforms, plus you can discover which links are very popular with other users. This way, great ideas get shared around. Links can be tagged to make this process easier. There is a mobile version of the service and it’s very user-friendly. The UI is minimalist and very readable, though some would call it a little bland. Refind will be very useful for those who end up with too many links and nowhere to put them all. It’s also great if you want to discover interesting new sites and blogs. However, it is essentially just bookmarking. What do you think about Refind? Do you recommend it? Why?